In June 1917, when he had a promising biplane named V4, Fokker received Idflied official request to build three triplane prototypes. Fokker redesigned the V4 into a triplane without any hesitation. Successful trials of the new triplane were carried out in July 1917 and Ideflieg orderded the first 20 aircraft on July 14th." The V.4. 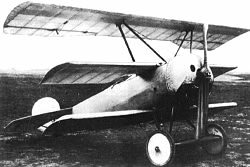 was a single seat cantilever triplane with cantilever wings, further development of the Fokker V.3. In a later stadium, single wing struts were added to reduce wing flexing. 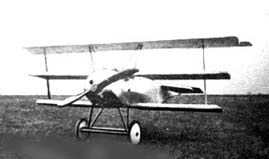 But in other respects the V.4 was very similar to the Fokker Dr.1. 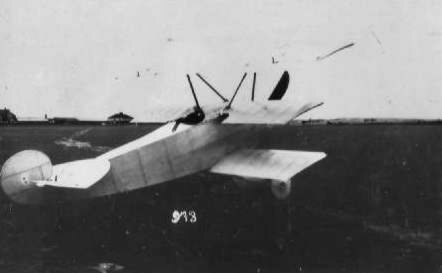 and was considered to be the second prototype.